Outfit: Black textured skater dress featuring elbow length sleeves and scoop neck. 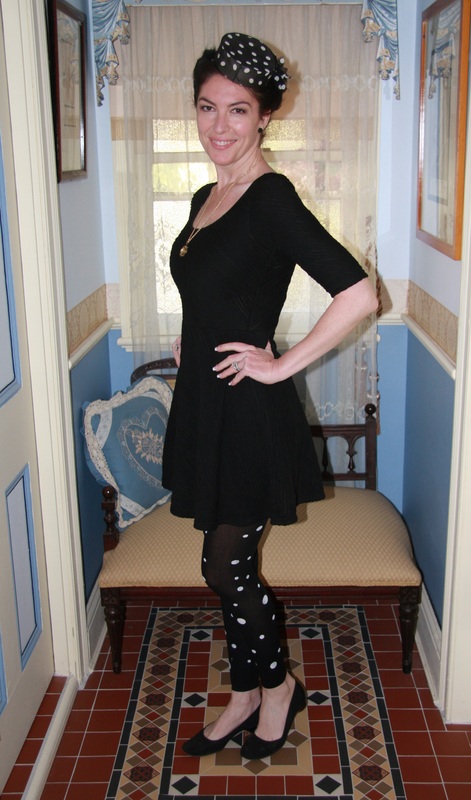 Hair: Worn pinned up, under a black and white spotted pillbox hat. 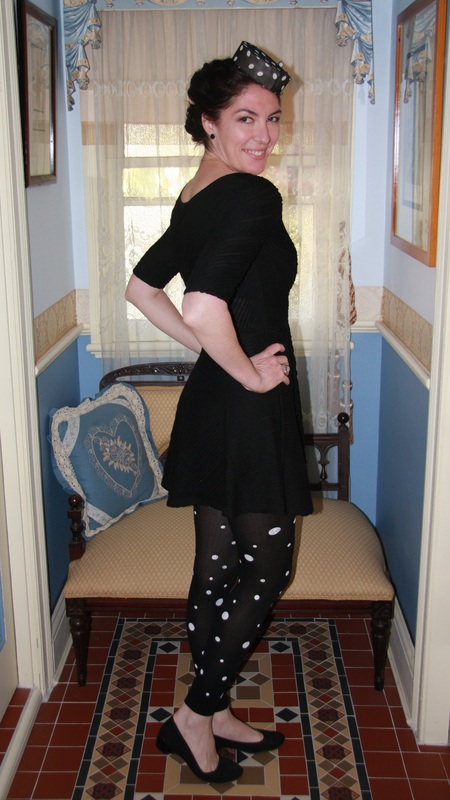 Accessories: Black footless hosiery with white spots, black rose stud earrings, Victorian compass pendant worn on a gold rope chain.